Head & Shoulders encourages people to get Headstrong with Head & Shoulders dandruff shampoo in one of its latest commercials. The spot, featuring a variety of people practicing different sports and not only, explains what “Headstrong” means. “Headstrong is determined and stubborn. 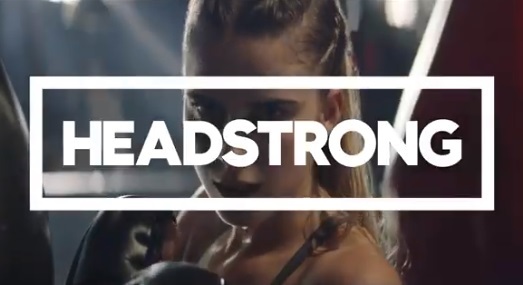 Headstrong raises the bar & raises eyebrows. Headstrong is confident. Headstrong knows what it wants & won’t let anything get in the way. Not even itch. Not even flakes. Not even doubt,” onscreen lines read throughout the 45-second ad, which also shows a couple of newlyweds running a marathon, a blonde middle-aged woman riding a motorcycle, a woman having her head shaved, a couple kissing during a date, and a curly woman arriving at an important conference. The soundtrack music is the 2017 single “Superhuman” by Campfire feat. Shane Eli.